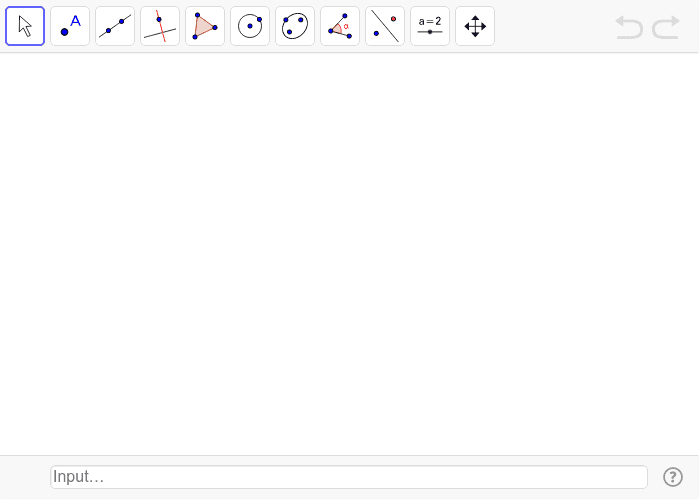 This short worksheet will introduce you to geogebra . You will create a triangle and measure the length of each side and the size of each angle. Use the tools available to create a triangle. (Point and Segment tools) Use the measure tool, the fourth icon from the left, to measure each side and each angle. Use the Undo icon as needed.